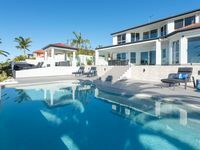 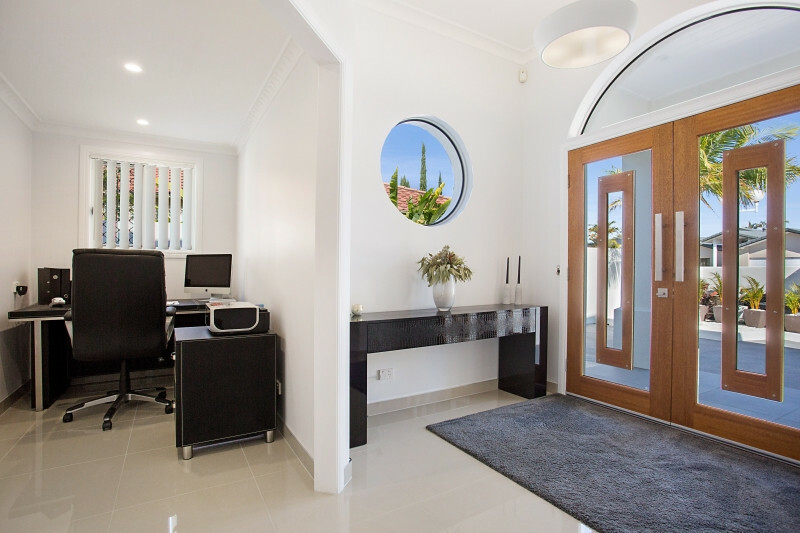 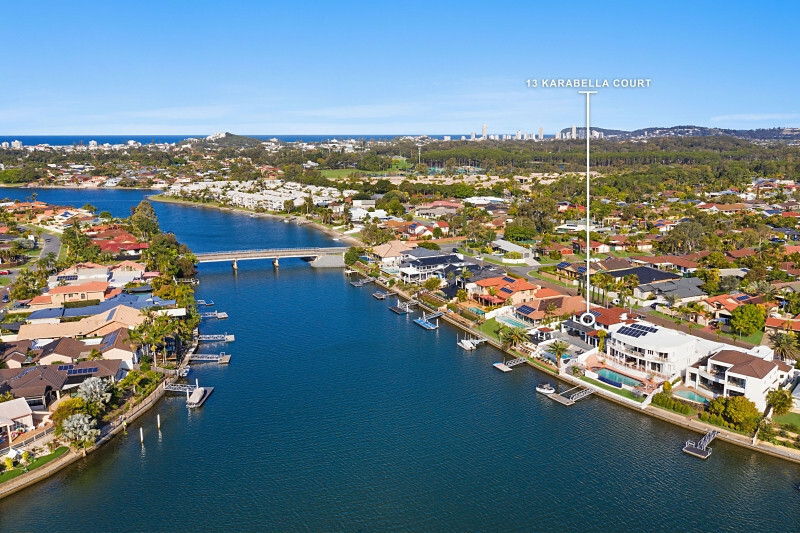 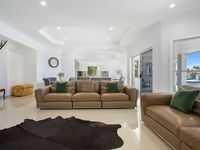 13 is most certainly a lucky number when it comes to this prestigious and perfectly positioned Gold Coast address. 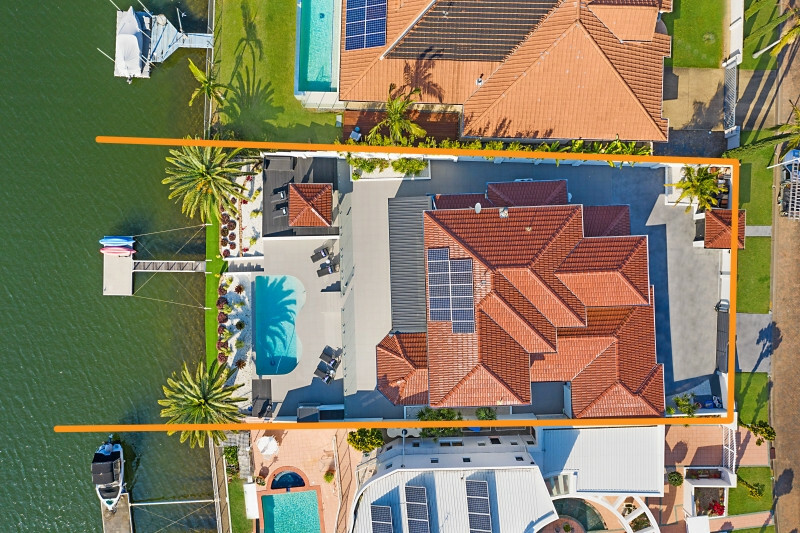 Stately from the street and resort-worthy from the water, the four bedroom, 3.5 bathroom luxury residence oozes luxury from every angle. 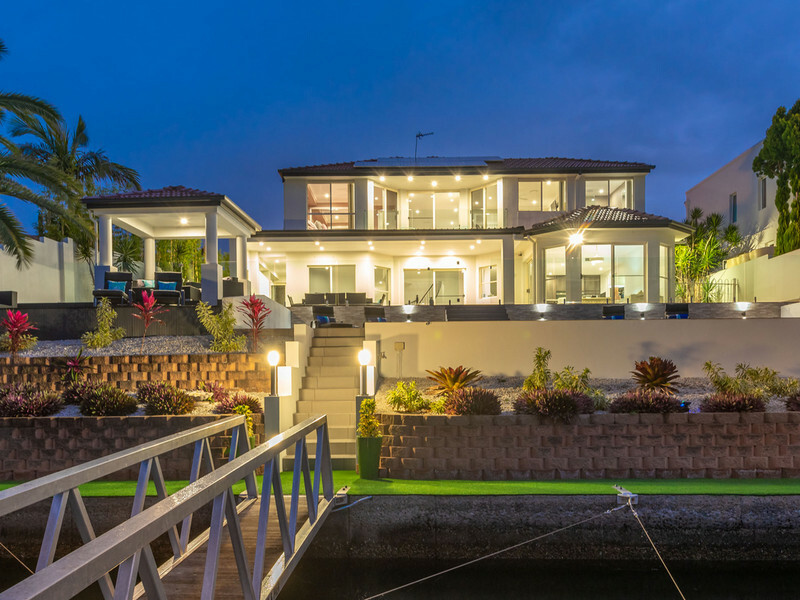 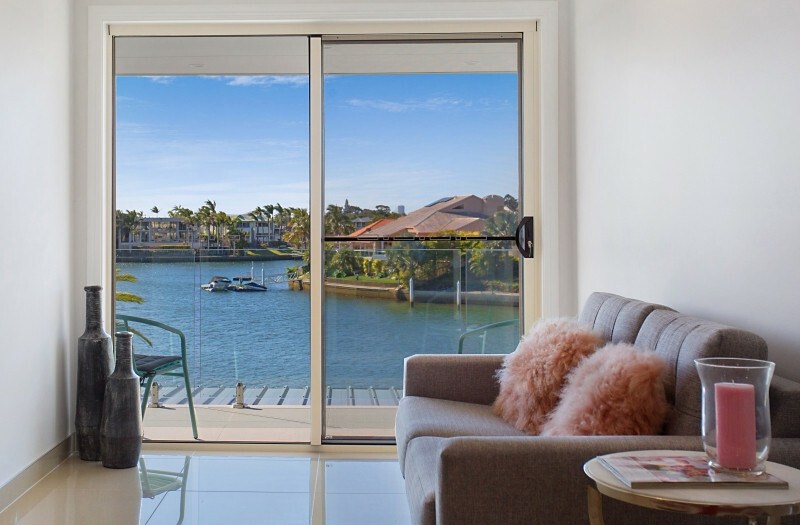 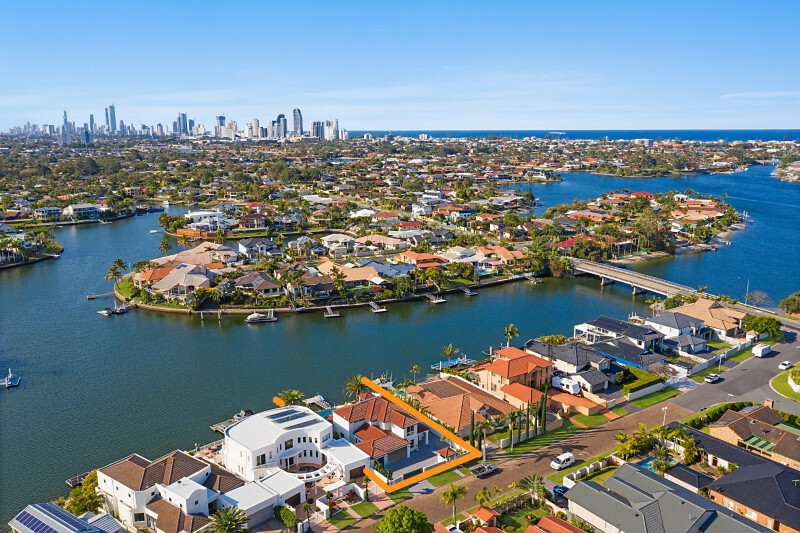 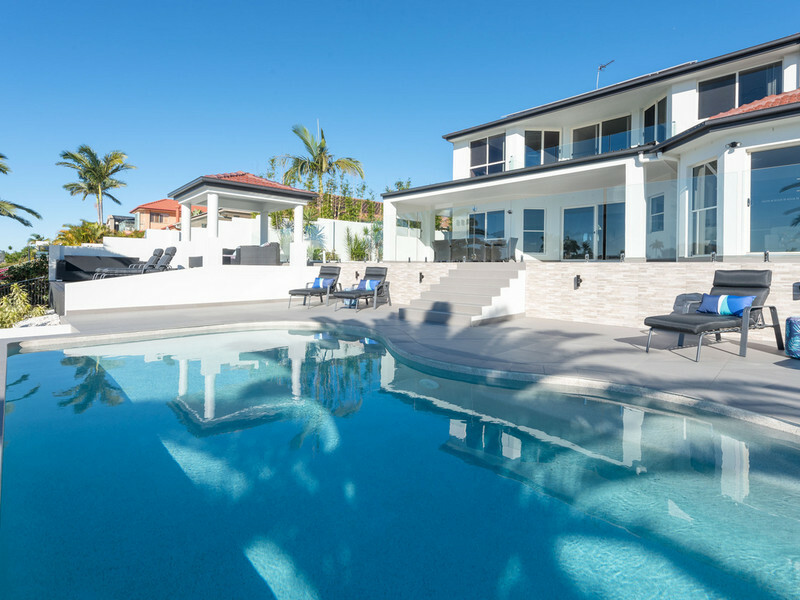 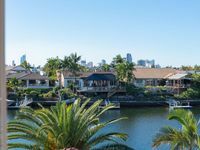 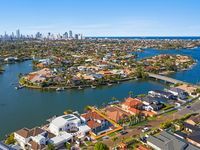 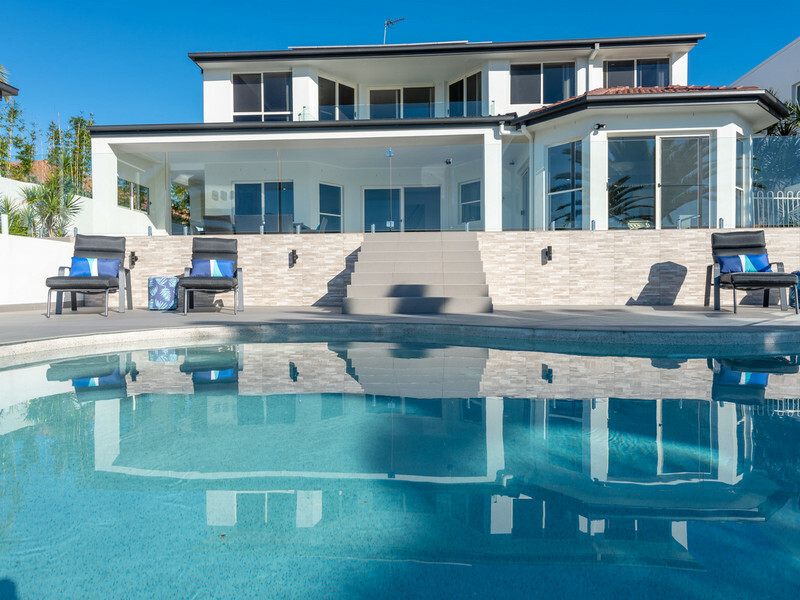 Captivating, north to the water views sweep across the home’s aquamarine backyard, right through to the skyline of Surfers Paradise beyond. 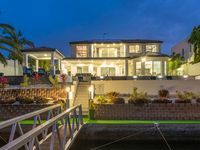 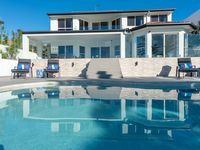 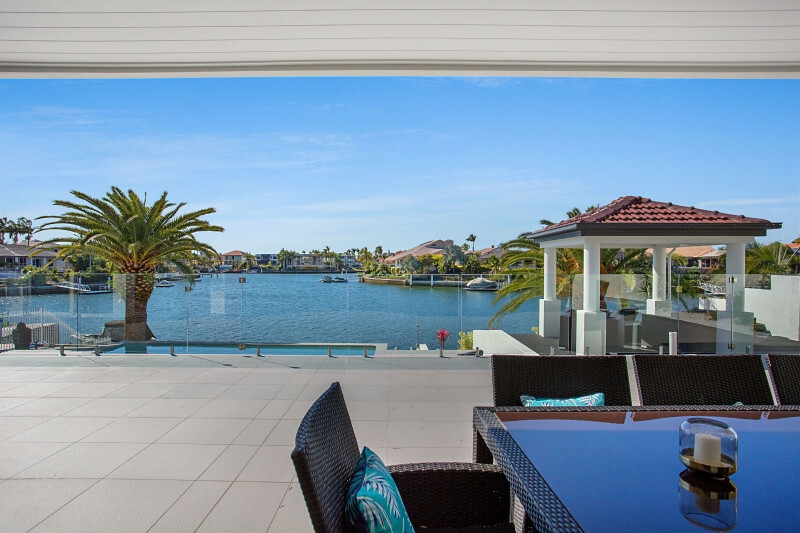 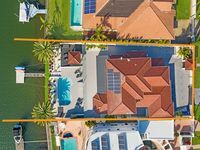 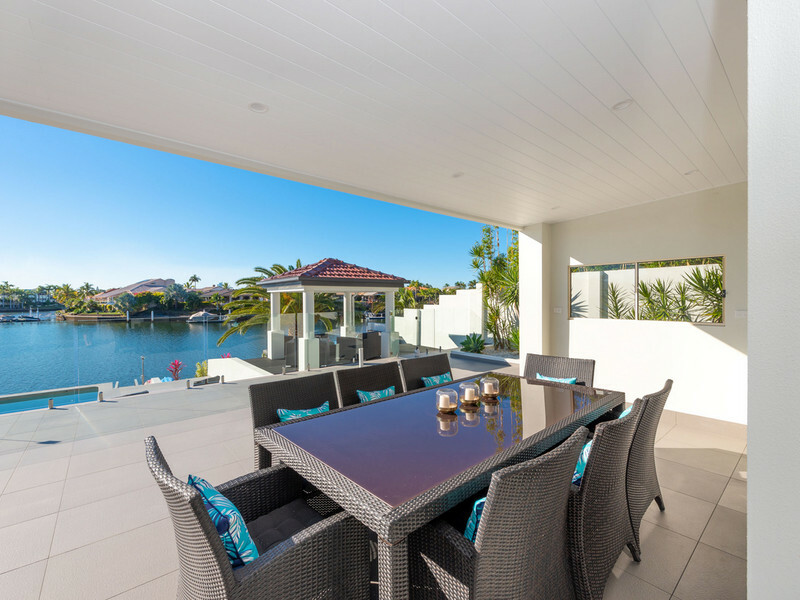 Designed to take full advantage of life on the water, the property features an amazing paved alfresco which wraps around the swimming pool, a generous covered alfresco entertaining area plus a separate gazebo, and of course its own private pontoon. 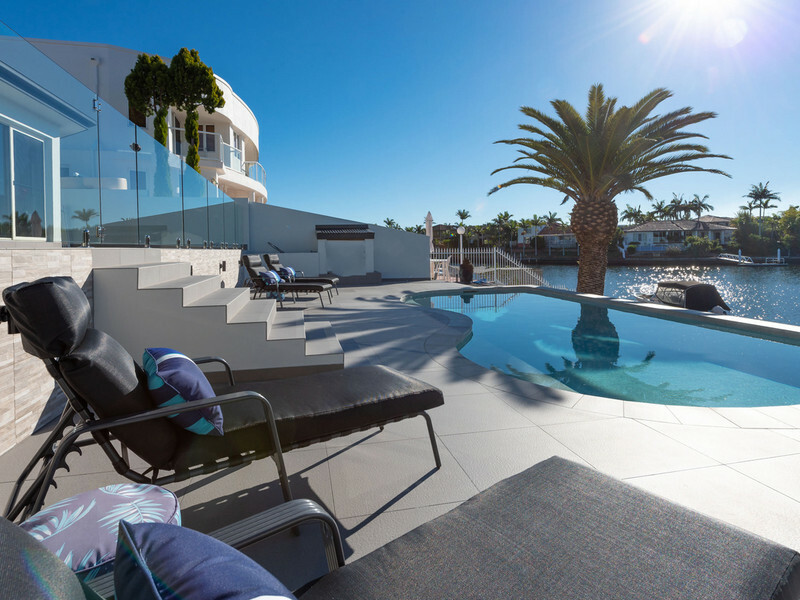 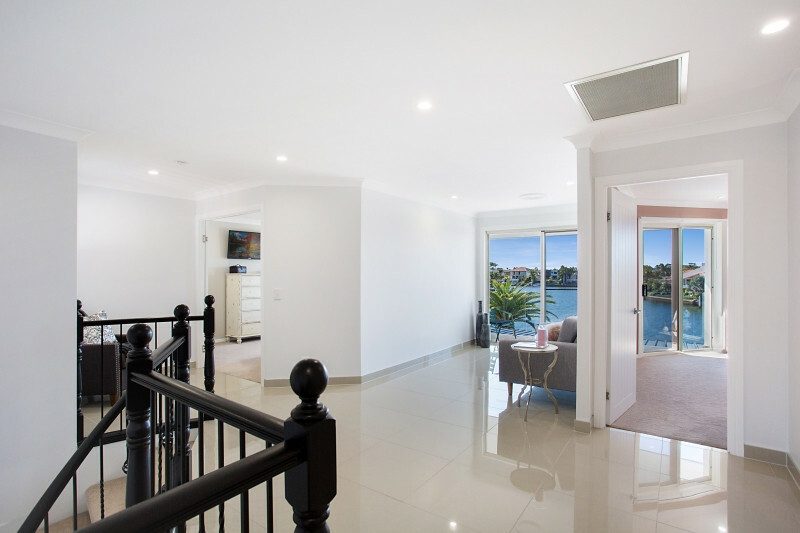 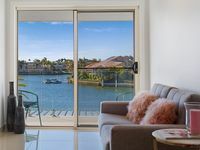 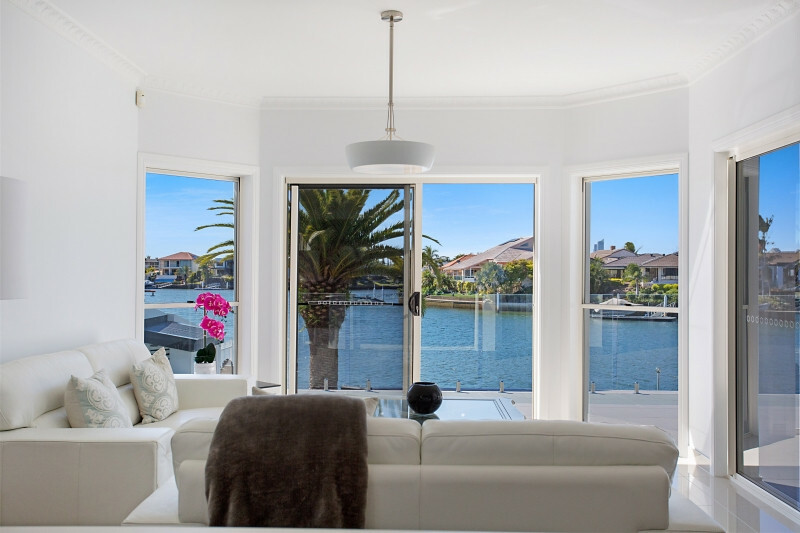 Inside, the formal entrance opens to a grand, sweeping staircase, the guess Bedroom including a fully separated renovated bathroom and open plan living spaces designed to capture the enticing water and city views. 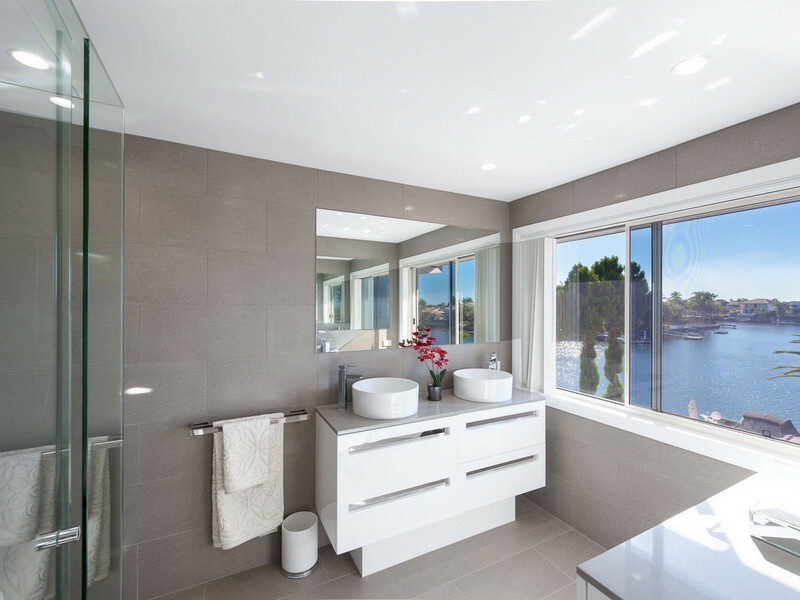 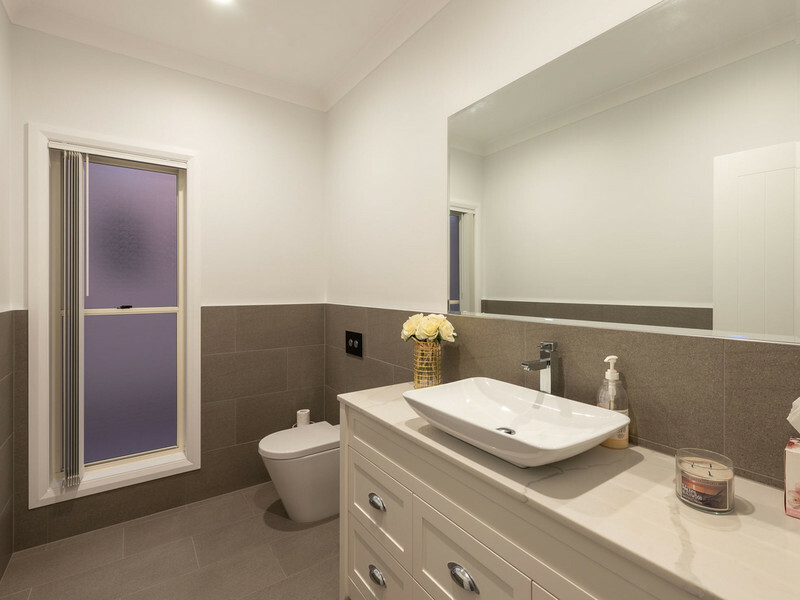 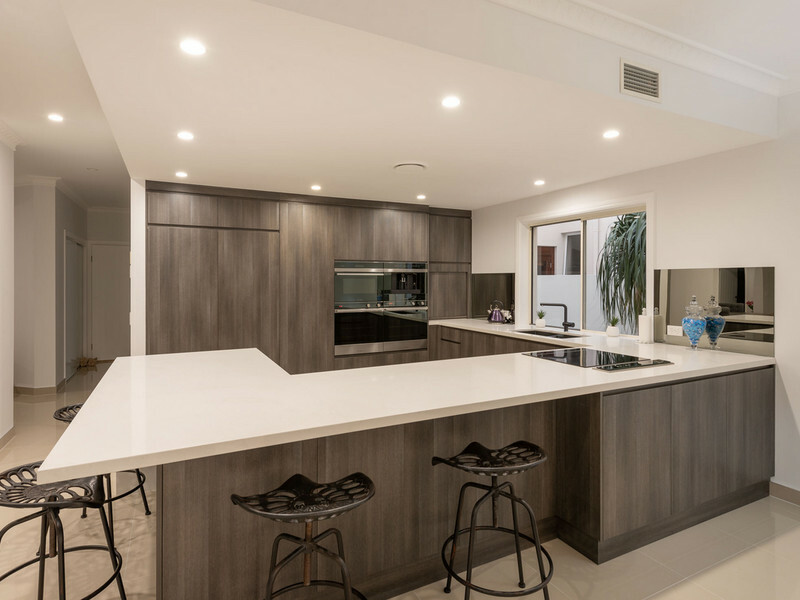 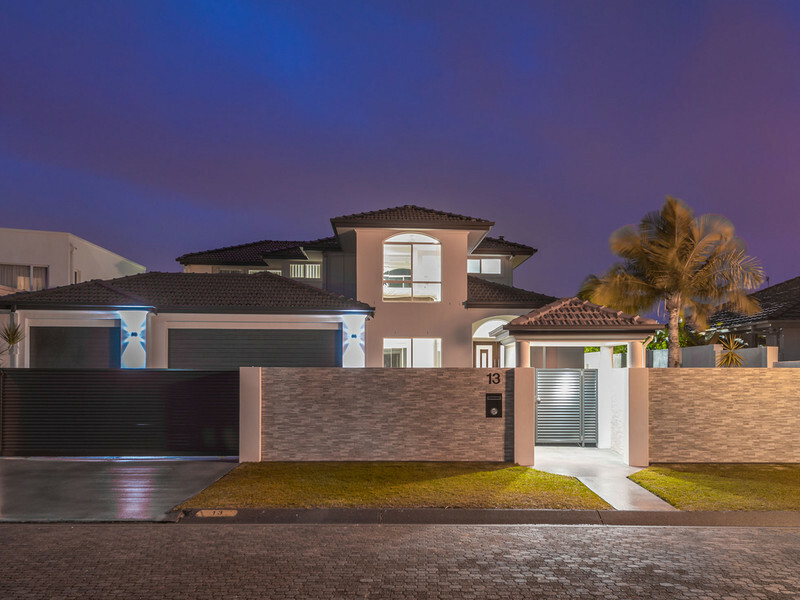 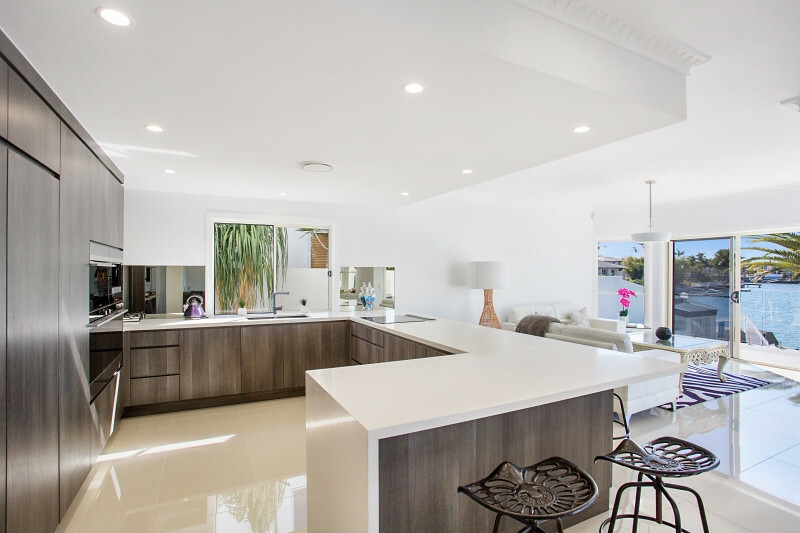 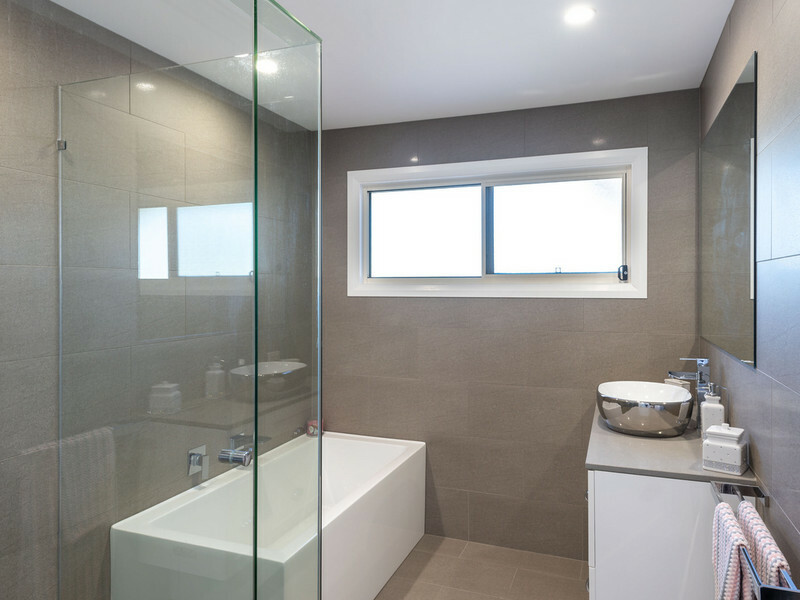 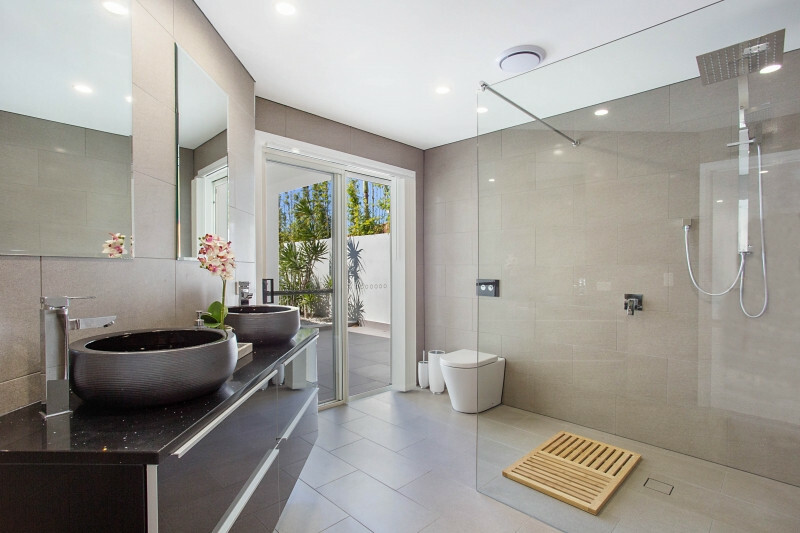 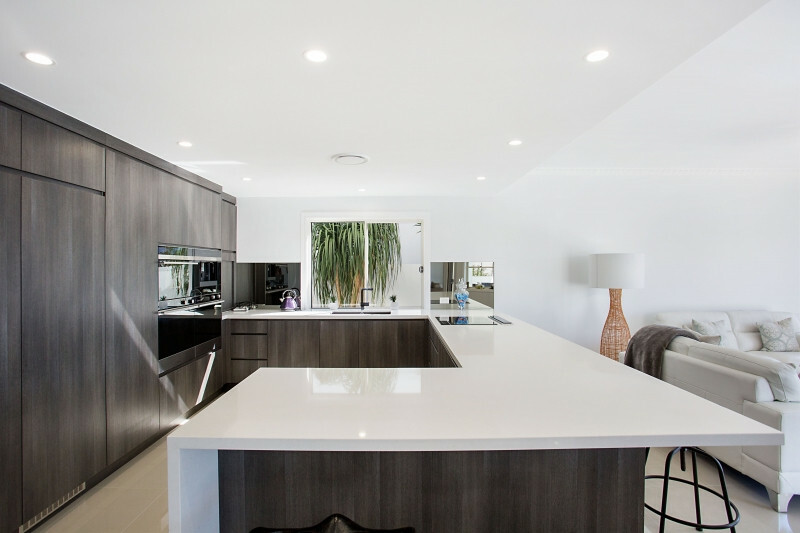 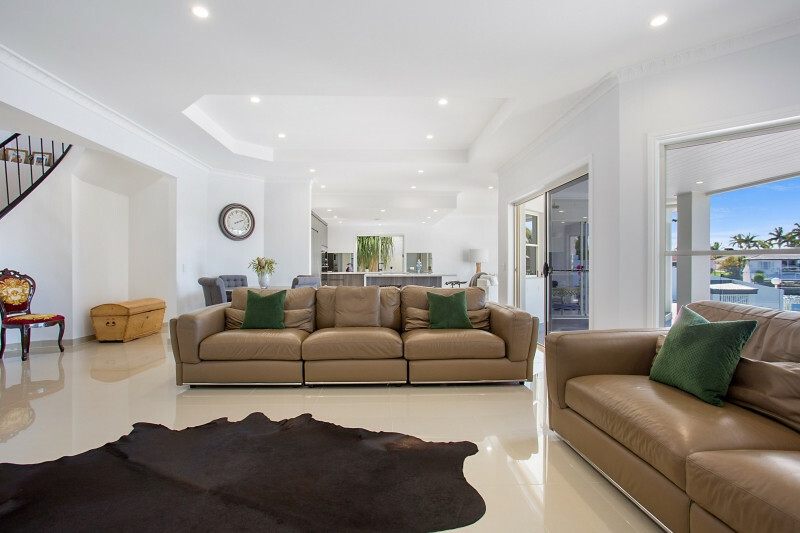 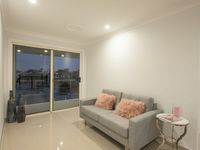 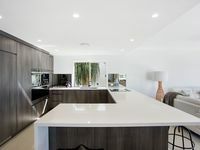 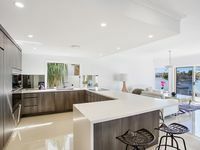 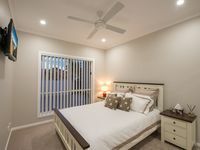 Impeccably presented throughout, attention has been paid to every detail such as designer bathtubs and basins, frameless glass mirrors, porcelain tiles, ducted air conditioning and a gourmet kitchen with seamless cabinetry and integrated appliances. 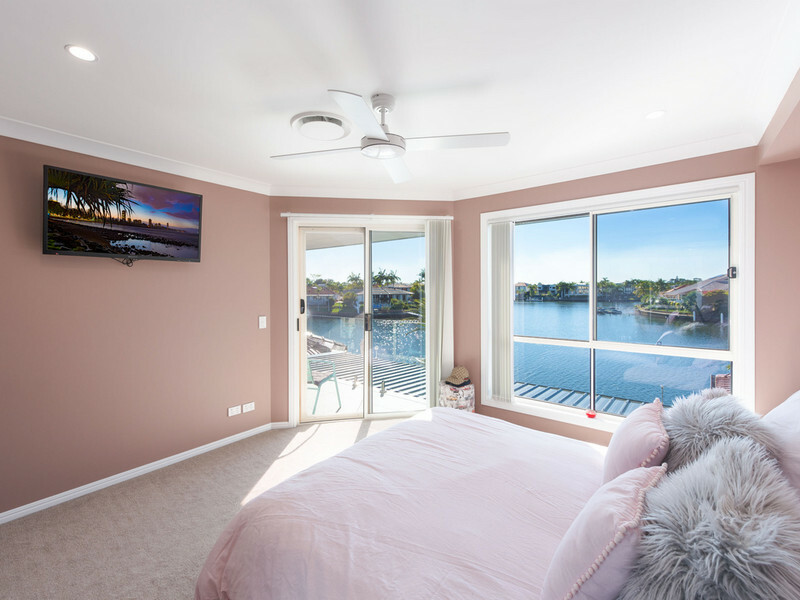 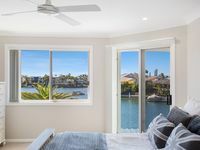 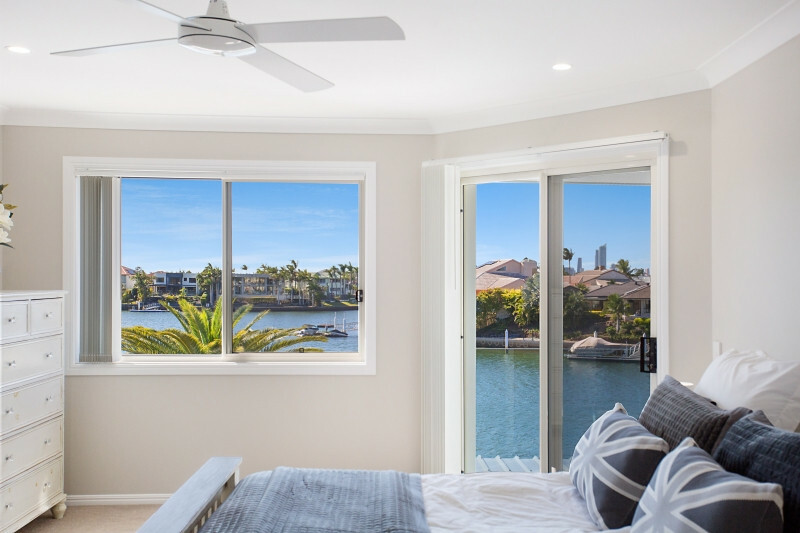 Upstairs the three generous bedrooms plus additional living area/study provides ample space for the entire family whilst drawing in those enviable, elevated water views at every opportunity. As you would expect of a home of this calibre, the property is securely fenced with intercom gatehouse and triple remote 3-car lock-up garage. 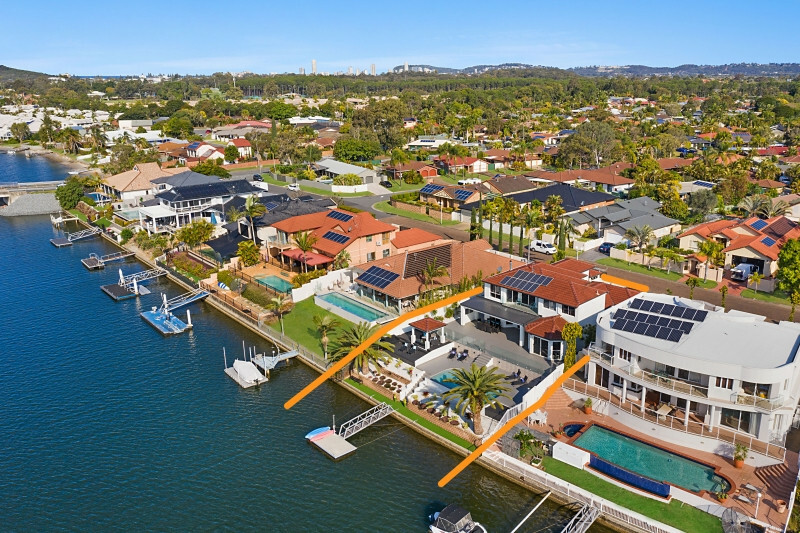 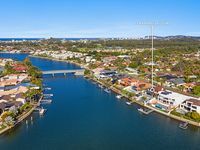 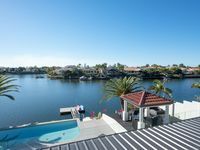 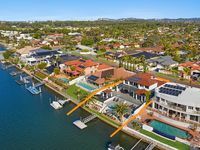 With low maintenance grounds, your weekends will be free to enjoy a spot of fishing, boating, entertaining or simply relaxing and soaking up the sun in your own Gold Coast resort. 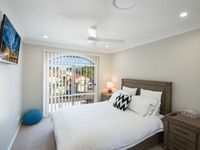 Nestled in a private cul-de-sac, the property is close to everything you could need whilst staying clear of the hustle and bustle. Beaches, boutique cafes and restaurants, shops and schools are all only moments away, as is Bond University, the Q Store and Pizzey Park. 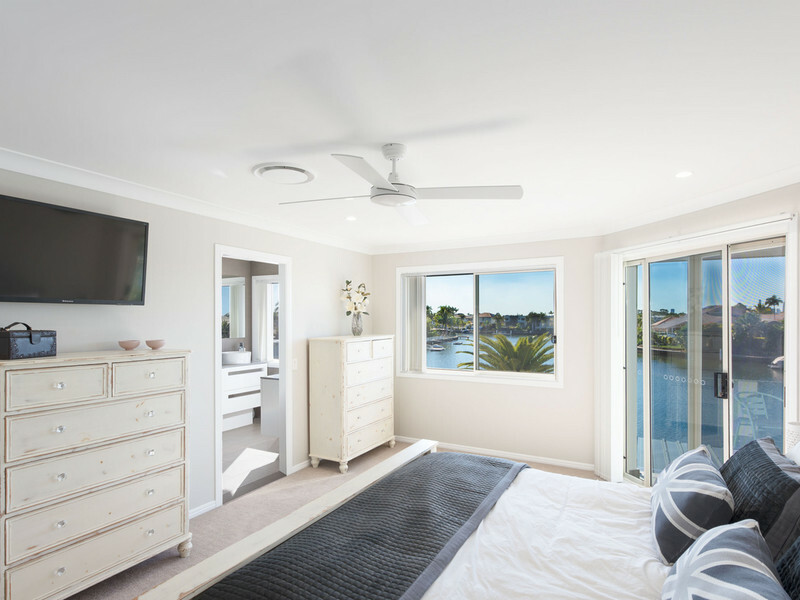 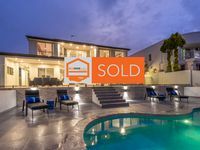 Make 13 your lucky number this year and contact Ludovic today to arrange an inspection 0481 466 688.